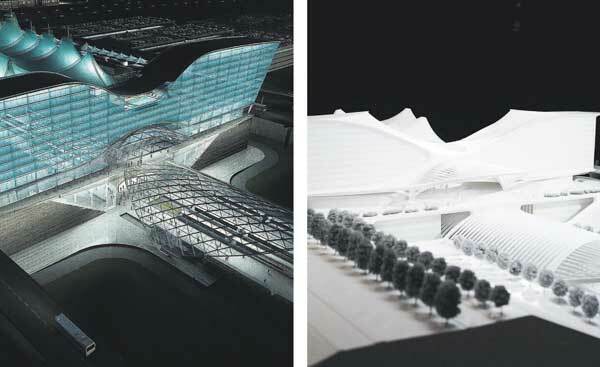 I had to laugh at Ray Mark Rinaldi’s assertion that the proposed redesign for a hotel at the Denver International Airport terminal “fits in with design of DIA.” Really, the only thing that could fit in with the current Jeppesen Terminal would be something that effectively imitates it, or something that lies low and doesn’t interfere with the terminal’s magnificent silhouette. Instead, the redesign, like the Santiago Calatrava original, blocks our view of the terminal and destroys the visual effect, as seen from afar, of the tepee village on the prairie. DIA’s decision on this hotel has consequences for all of us. The Curt Fentress-designed Jeppesen Terminal is not merely “one of the city’s most popular buildings,” as Rinaldi describes it. It is the most iconic edifice in Colorado and one of the signature buildings of the American West. To hide it behind the walls of a hotel would broadcast to the world that Denver doesn’t have enough sense to recognize bold, exciting architecture in its own backyard. Thanks for sharing your thoughts. It seems to me that the original Calatrava design, although flawed, is better because his signature of “strong white elements” would at least match the tepee village.